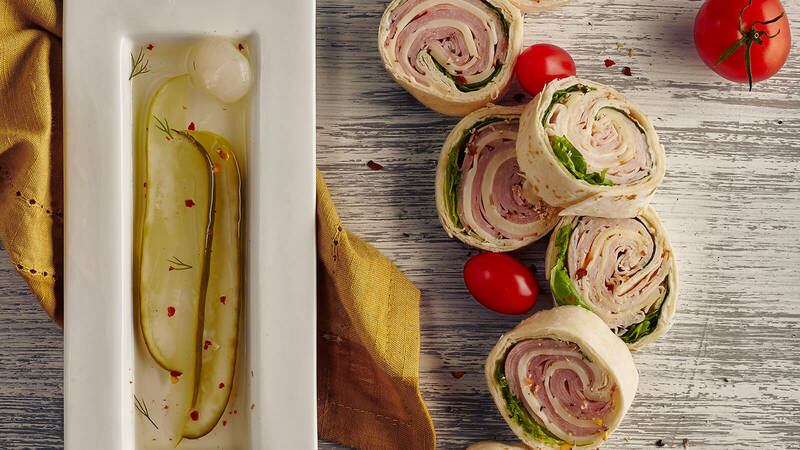 This spread features two varieties of rolled pinwheel sandwiches made fresh and cut into medallions. Choices include Virginia Ham with Swiss, Roast Beef with Wisconsin Cheddar and Smoked Turkey with Havarti. Each platter is attractively garnished with pickle spears and grape tomatoes. Please include a comment in Step 1 of Checkout indicating which pinwheels you would like to have in your platter.